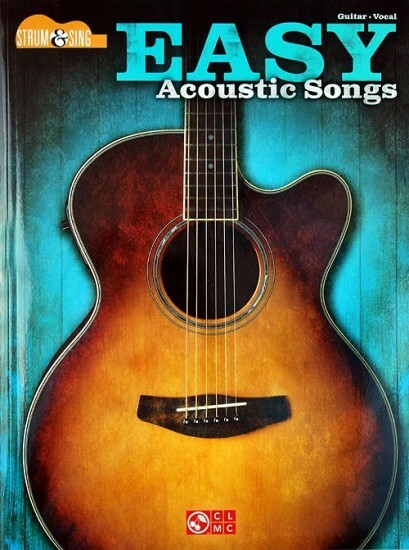 40 acoustic hits in unplugged, pared-down arrangements – just the chords and lyrics, with nothing fancy. Includes: All Apologies • Champagne Supernova • Daughters • Hey There Delilah • Ho Hey • I Will Follow You into the Dark • Learning to Fly • Let Her Go • Little Talks • Lucky • Mr. Jones • Run Around • She Will Be Loved • Toes • Wagon Wheel • Wanted Dead or Alive • What I Got • and more. Haven't changed strings on my new acoustic electric guitar as of yet. I ordered the silk and smooth, but still have two sets of D'Addarrio EJ to use first. Have been studying both chord and scale books. And although I'm finding them a little hard to understand at this time. I'm very glad I ordered them. As for the Acoustic Song Book. I'm glad I ordered it. Some of the songs I will eventually be able to play. Some I will struggle with. As always you guys are the best . Thank You.